The Carolina Hurricanes have a tradition of late of non-aggression in free agency. Year after year players are available that could make an instant impact on the team and management passes them by. This lack of pursuing good talent is a source of frustration for the fans who have not tasted the playoffs since 2009.
Who is to blame? Ultimately one would look at the team’s owner Peter Karmanos. He’s never really been willing it seems to open up the checkbook and bring in a game-changer. With his current desire to sell the team, it doesn’t look likely that he will spend any more than necessary to field a squad that can perform at a level similar to what the fans have seen over the past six years. If that is the case, the frustration will continue. My very first article for The Hockey Writers was on May 21, 2014. It was entitled “Ron Francis: “Eric Staal’s Future Depends on Our Budget” Huh?” (Click the link and give it a read). Francis was newly minted general manager at the time and said that Staal’s future depended on the team’s budget. The statement raised a few eyebrows at the time, and was an indication of things to come. With very few exceptions, the Hurricanes have little to no history of going out and acquiring a player in free-agency that could instantly raise their playoff chances. Staal was not signed to a contract extension and still is in limbo in this his final contract year. Staal seemingly wants to stay in a ‘Canes sweater, but there is no indication that he and Francis are close to a deal. It must still depend on the team’s budget. Here is a sample of some players that the Hurricanes have left on the table, one of which had me screaming, “Why didn’t we go after him?” every time I watched him play. Just hearing his name announced still makes me ill. Drafted 61st overall by the Colorado Avalanche in the 2002 NHL Entry Draft, Boychuk was nothing special early on. It took until the 2009-10 season before he played a full season in the NHL, and that was with the Boston Bruins. 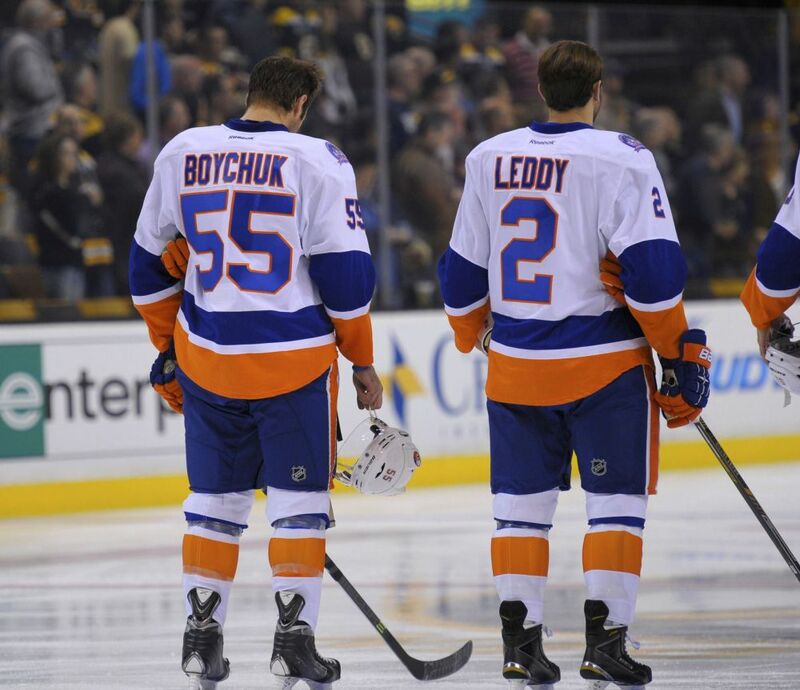 In 2013-14, his last season as a Bruin, Boychuk had 23 points and was a +31. Last season with the New York Islanders, (not with the ‘Canes), he had 35 points and was a +15. In 2011 Boychuk was a part of the Bruins’ Stanley Cup Championship team. Are his statistics overwhelming? Not really. Could the Hurricanes have benefited from his experience – now six playoff years in a row? Definitely. Did he play a key role on the Islanders last season? Yes. Could he have played a key role in Carolina last season? Absolutely. 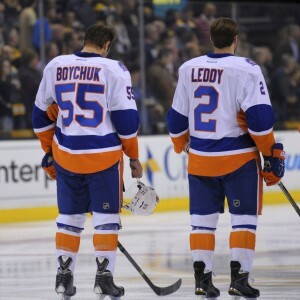 At the time of the trade to the Islanders, Boychuk carried a $3.366 million cap hit. For a team depending on the budget, it’s not likely that the Hurricanes were suitors. But it would have made me very happy if they had been. A familiar face to long-time Hurricanes fans, Williams was available a few months ago for the taking, and was grabbed by the Washington Capitals from the Los Angeles Kings. This one could have been huge for a Carolina team trying to at least sniff the playoffs. Williams played in Raleigh for five seasons, including on their Stanley Cup Championship team in 2006. He was traded to the Kings in 2009 when the ‘Canes moved to bring back Eric Cole into the fold. Richardson listed Williams as one of the best signings, and I don’t disagree. With Jeff Skinner showing signs of struggling to go to the net after his most recent concussion, and a season that was glaring in its lack of consistent offensive output, Williams could have been a huge get for the Hurricanes. Williams’ contract with the Capitals is for two-years and $6.5 million. It is unlikely that he was wooed by the ‘Canes. But, for a guy who has 30 goals and 78 points in 115 Stanley Cup Playoff games, and whose teams are 7-0 in Game 7, and who has seven goals and 14 points in those games, it would have been nice to have seen him back in Raleigh. While financially this may border on the absurd, it’s true that Kessel was available this year and could have been acquired by the Hurricanes. Like Boychuk and Williams, he did not come to Carolina, and will be a tough foe for the ‘Canes in the Metropolitan Division. While Kessel does not have the playoffs pedigree of Boychuk or Williams, he is a consistent producer, with 64, 82, 52, 80, and 61 points in the past five seasons. Could that have helped the recently offensively challenged Hurricanes? The answer is obvious. That would definitely appear way north of what the ‘Canes are willing to pay and therefore not close to the realm of reality. But, if Kessel and Sidney Crosby are surging toward a deep playoff run, ‘Canes fans might be wondering what might have been. Karmanos had some thoughts on the Penguins’ acquisition of Kessel. (Read my article, ‘Canes Karmanos Unplugged here). His smack provided clear insight into his view on these types of big trades, and left me a bit discouraged about the possibility of the Hurricanes going out and getting a quality veteran to take them to the next level. There are many other players that Carolina could have gone after but didn’t. The team is in a rebuilding mode that is focused on youth and a foundation of hard work that Coach Bill Peters is building. It’s a good plan. Obviously I was not in Francis’ office or on the phone when discussions may have taken place about players in free agency. But, for a team whose fans are hungry for success, it would have been nice to have brought in an impact player.